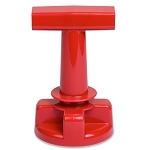 This handy tool is designed to fit over the raised bar that is present on the top of all gas caps. 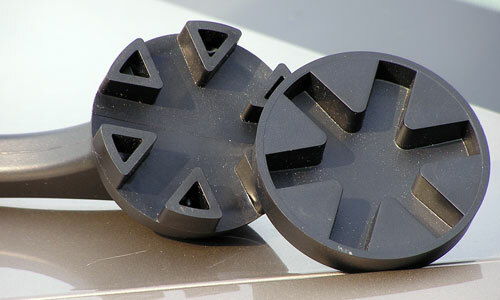 There are multiple grooves in the head of the gas cap tool so that the tool may be grabbed at different angles. This Gas Cap Removal Tool comes with two attachments in order to accommodate all cars. The first attachment has a slot width of 1/2 inch. The second attachment has a slot width of 1 inch. This item is ideal for persons who have limited grip strength and difficulty removing the gas cap due to arthritis or other disability. Measures: 8 inches long, 5 inches wide, 3.5 inches high. Includes: One Gas Cap Tool with two attachments for the tool to fit different gas cap handle widths. I have arthritis in my thumbs and I could not remove my gas cap. The Gas Cap Tool is just what I have been looking for. It works great. Thank you!!!! Wonderful item and easy to use. 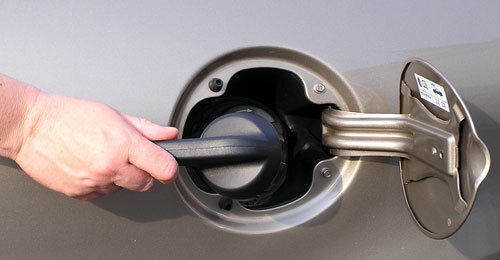 It is great not to have to look for someone to help you remove and put on your gas cap. It tightens it nicely-two or three clicks. Have rheumatoid in hands and can not turn things easily but this worked great. Does not fit my 2002 Dodge Dakota. Had to modify gas cap by filing it down to make it fit the tool. Don't expect anything "Made in China" to fit! My thumbs have been giving me fits for some time when trying to wrench the gas cap open. Using the supplied second adapter, I can now open the cap with relative ease and no crunching in my hands.